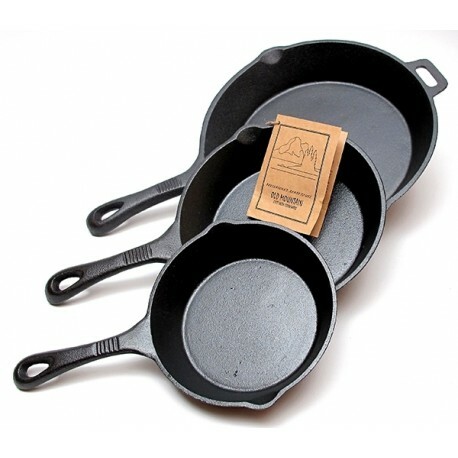 Old Mountain Cast Iron Preseasoned 3pc Skillet Set - Skillets measure 6.5" diameter, 8" diameter, & 10.5" diameter. Each skillet has two pour spouts. Largest skillet has assist handle. Cleaning: After cooking in your Old Mountain cookware, it can be cleaned by putting in hot water and bringing to a boil. Never use detergent to clean seasoned cookware, as it will remove the seasoning: Also, avoid putting hot cast iron into cold water. This can cause cast iron to warp or crack. After pouring out boiling water, wipe dry with a paper towel. If something sticks to the surface, dislodge it by simply using a spoon. Do not use any abrasive item to scrub cookware. Again, this can cut into seasoned surface. While pan is still warm from washing, apply a fine coating of oil or spray on all surfaces.If metallic taste or signs of rust are noticed, simply wash with hot, soapy water. 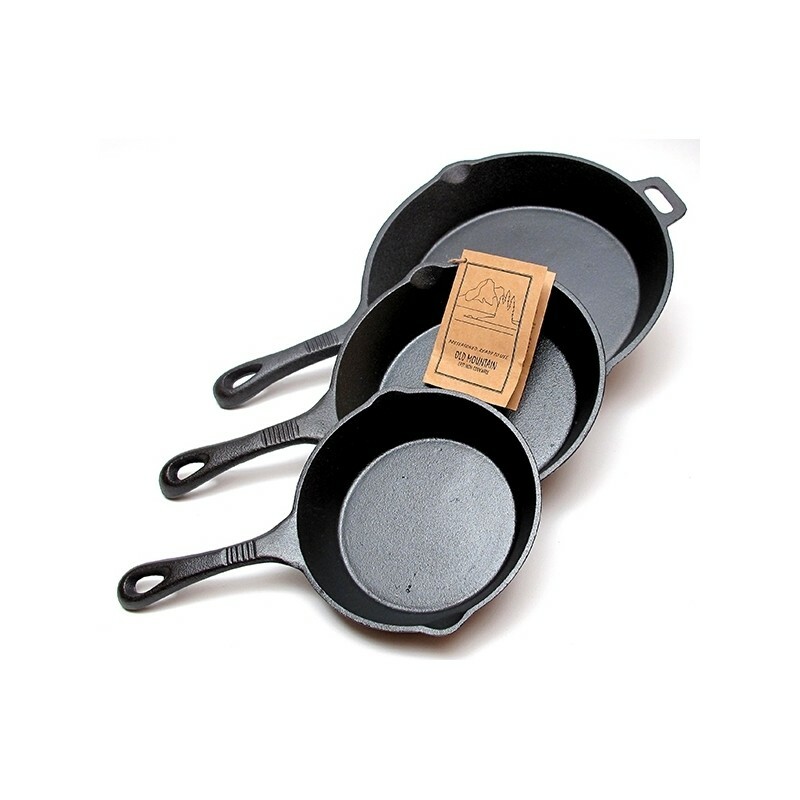 Scour off the rust, and then reseason your cookware.Store your cast iron cookware in a cool dry location. If storing with lid, place a paper towel between the lid and base to allow circulation of air.